I wasn’t quite sure what to make of this until last weekend. 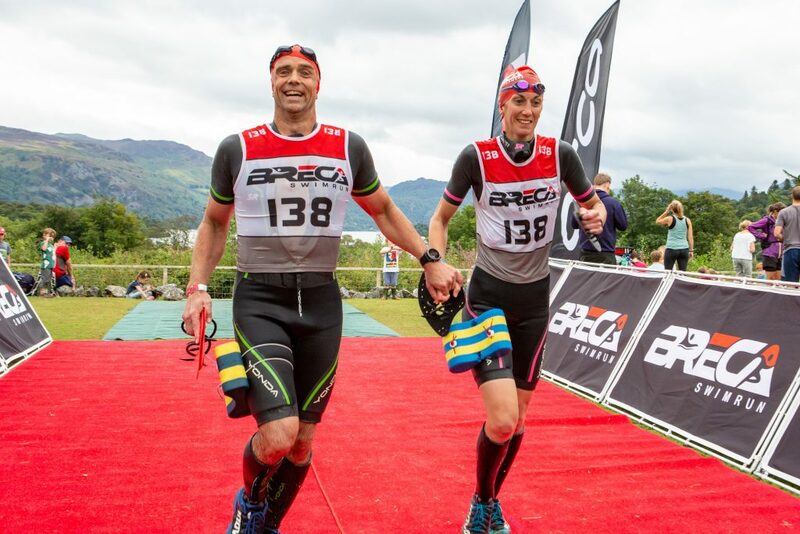 Julia and I returned to compete in the Breca Buttermere Swimrun Event in the Lake District. 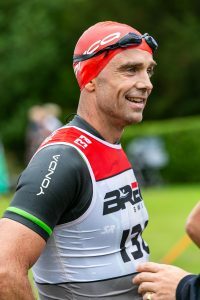 This is a crazy mix of trail running and open water swimming. 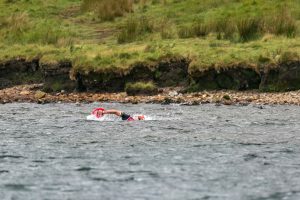 To make it stranger, competitors operate in a team of two, swimming in trail shoes and running in wetsuits. We did well last year, despite going off trail for two kilometres. With the benefit of previous experience, we had high hopes for an improved effort this year. We had brand new wetsuits to compete in, with Angus Greenwood of Yonda fame stepping up and putting us in the ‘Ghost SR.’ They did us proud. Add to this new hand paddles like dustbin lids and good old hindsight, we were sparkling with enthusiasm. The start was blowing a gale and raining in biblical fashion. Competitors huddled together pretending to be enthusiastic for the 48km event comprising 6km of swimming and the balance running through forests and up/down mountains. We started of brightly and gravitated to the front end of the race. There were some great runners surging past us, making the slippery rocks look like sandpaper. We were a bit more cautious and ended up surging past them on the swims. It meant mutual respect between competitors as we played to our strengths. 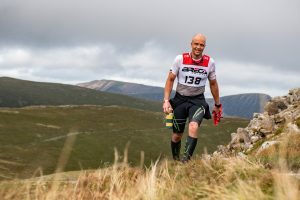 The beauty of the event means different sections favoured different competitors. At the halfway point we had stayed true to the course and we were neck and neck for pole position. Then came the dreaded ‘Dales Head Pass.’ You exit the stunning Buttermere Water and gratefully hit the rest station for food and fluids. After a short trail, the path goes up a 45 degree gradient cresting after 800m of climbing. It is a lung buster and crippled my legs as I watched my lovely wife floating effortlessly up the vertical cliff face. I steadily ground my way up like a diesel engine, pretending that I didn’t care that I was maybe letting the team down. At the top, Julia appeared to be in discomfort. A mixture of cramping and stitches meant running was painful both up and down. This meant the 14.5km stretch from Buttermere to Derwent Water was best done with short runs mixed with determined walking. It also meant we had to swallow our pride as teams moved passed us. Strangely I struggled with stitches on the flat for a short period as we came off the Dales Head Pass. Luckily the next swim gave me a chance to rest and recharge. Julia was struggling with nutrition and in truth looked grey, lacking her usual sparkle. 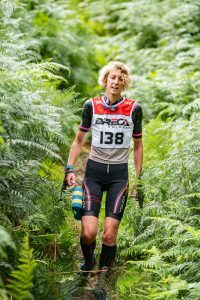 We dug in and passed several teams in the latter stages, a massive testimony to her courage. Coming into the home straight I celebrated, Julia was happy to finish. From 2017 to 2018, we slipped from 3rd position in the mixed couple to 5th and were the 16th pair overall. Hardly disgraceful but not quite the result we hoped for. Sometimes, you just have a bad race. In a team of two there is a greater chance. If you just hang in there, sometimes you rally and achieve better than you expect. Finally, these events should just be treated as a good old romp in a beautiful setting with a loved one.